For the next three posts, I’m going to be highlighting three areas of the Firefox user interface that could benefit from animation. Stephen Horlander and myself have been looking at Firefox with an eye towards where movement could make Firefox an easier, more appealing, and perhaps even faster experience with movement. Like many web technologies, animation is a useful but easily abused tool. The early web and the dawn of the .gif saw animation heinously overused with blinking, spinning, and scrolling animations added to sites because they looked cool. As the web calmed down a bit and web and interactive design began to develop, designers and developers found that animation could be beneficial to users. 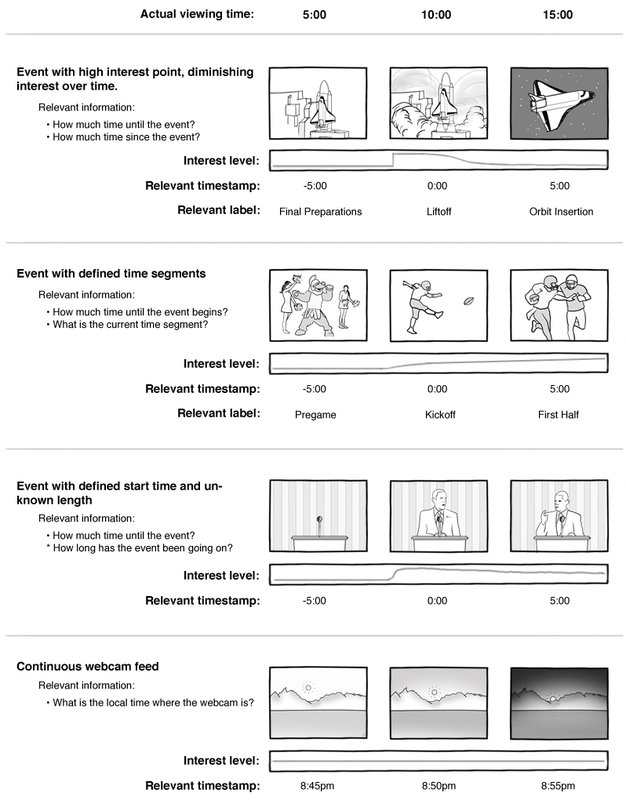 For instance, it can make tasks seem more like real-world affordances, and thus easier to visually understand. It could give users feedback on how digital objects were being moved or manipulated. And yes, they could make interactive experiences more visually appealing. The first area we feel could benefit from animation is the movement of toolbar items within their rows on the Firefox chrome. This includes buttons like Home and Reload, the bookmark bar, and tabs. Currently, these items can all be shifted and reordered, but little visual feedback is given for these tasks. For tabs, only a thin strip shows where a dragged tab will be dropped. By adding animation to the process of rearranging items, not only will Firefox feel more lightweight and adaptable, but it will be more visually clear what the user is manipulating and how the UI will be changed by letting go. For instance, animations of tabs being manipulated is essentially live preview of tab rearrangement: if a tab is slid to the right and an animation shows it doing so, releasing it only makes permanent what is being shown. This is similar to the tab animation motion currently in Safari and Chrome. 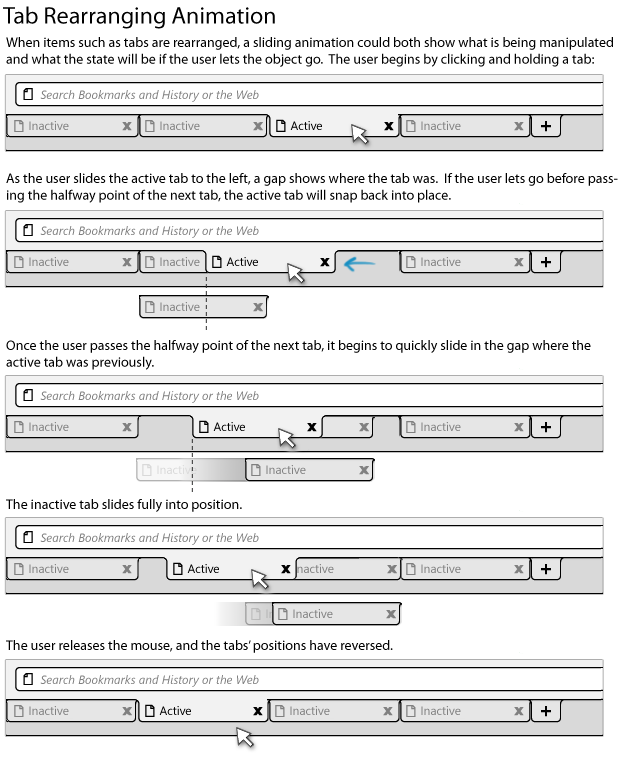 Because tab tearoff and tab rearrangement would utilize similar mouse movement, some thresholds should be added to prevent users from accidentally performing an unintended action. As Shorlander recommended, a “soft snap” could make tabs within a region of the tab bar slide, and falling outside that region causes them to tear off. 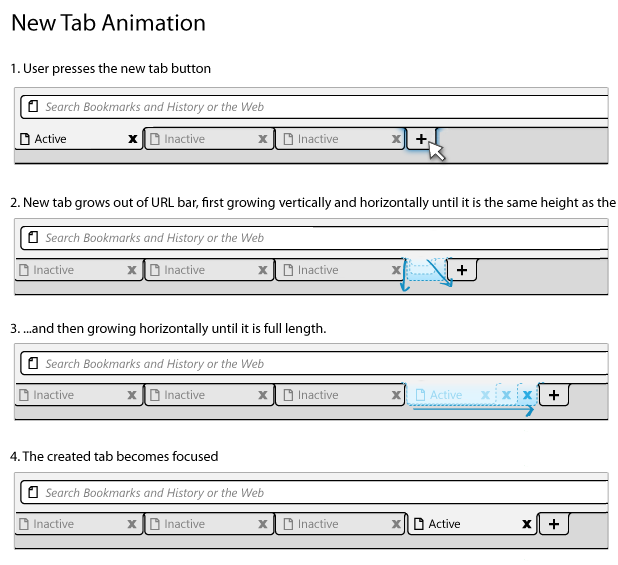 Slight animation could also give newly created tabs the feeling of organic growth into the browser. The above sketches are based on work by Stephen Horlander.